It’s that time – we’re due for a bi-weekly nomming update! 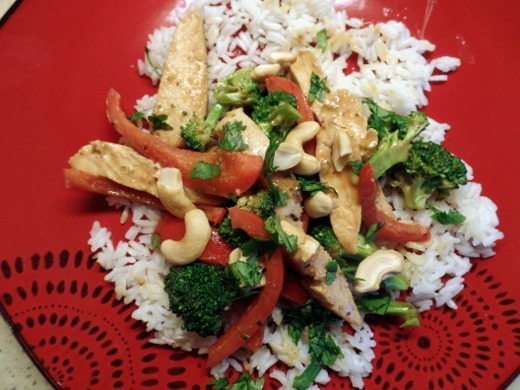 Sunday, October 26: Chicken Stir-Fry with Peanut Sauce and Coconut Rice. 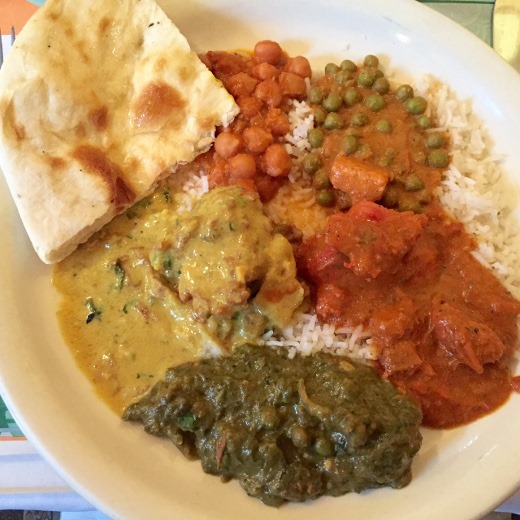 Monday, October 27: Indian dinner buffet at Raja Rani. In response to the initial news that they were closing, we decided we had to make one last trip in for dinner. However, now it turns out that they will not be closing but instead reopening under new ownership. I lived across the street from Raja Rani for a year as an undergrad so it holds a special place in my heart which is reserved for the aroma of curry. Tuesday, October 28: Fish Stick Tacos. 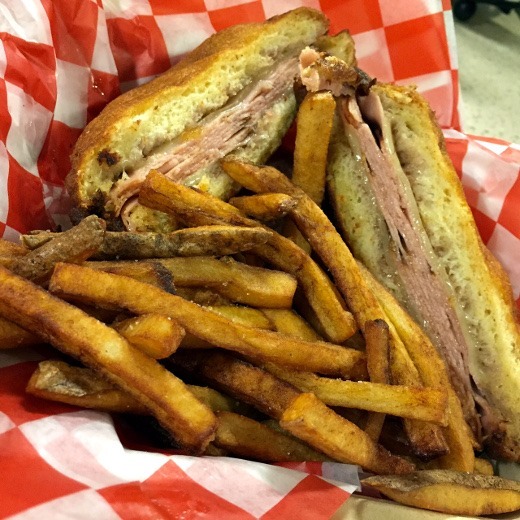 Wednesday, October 29: Monte Cristo from the diner at Whole Foods (only $6 on Wednesdays!) They totally messed up my order though! No raspberry preserves on the sandwich (which is what MAKES a Monte Cristo) and no dipping sauce on the side that was promised. Huge fail. Also it was too greasy compared to others I’ve had there. 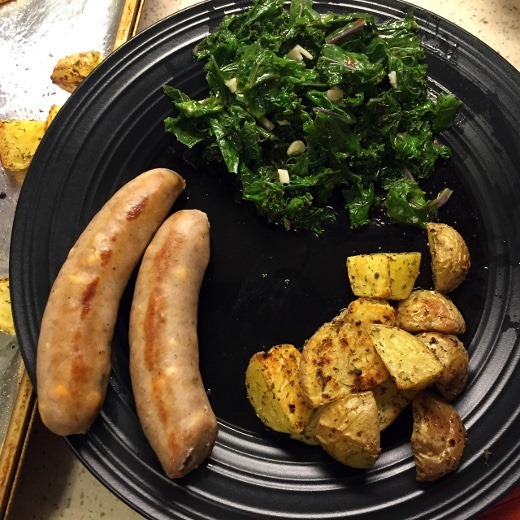 Thursday, October 30: Pan-Seared Brats, Roasted Yukon Gold Potatoes, and Sautéed Kale with Garlic. 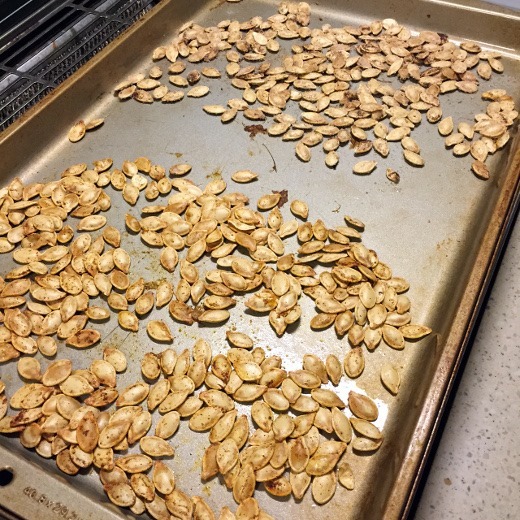 Mostly so that I could roast the seeds. 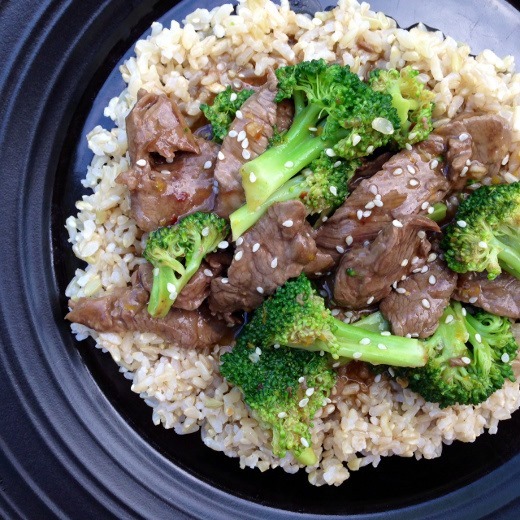 Saturday, November 1: Lighter Orange Beef and Broccoli, recipe from Iowa Girl eats. 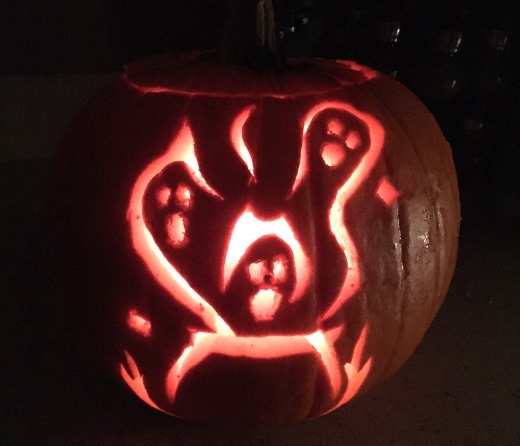 This is the second time we’ve made this recipe and we are fans! I might use less orange zest next time, as I think I went a little overboard this time. Sunday, November 2: Family gathering in honor of the huz’s grandparents’ 60th wedding anniversary! What a milestone! I’m glad we could be there to celebrate with them. 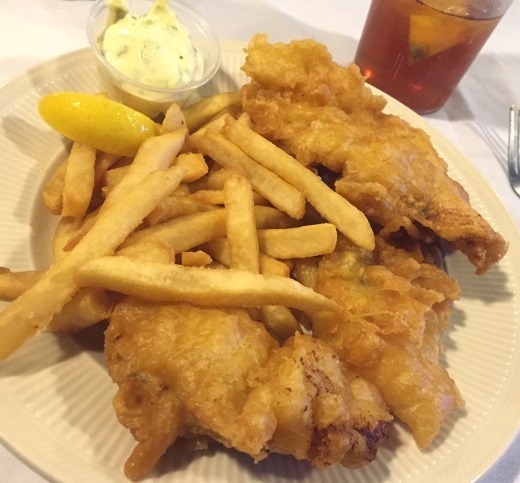 I had crispy fish and chips for dinner. Mmm mm. 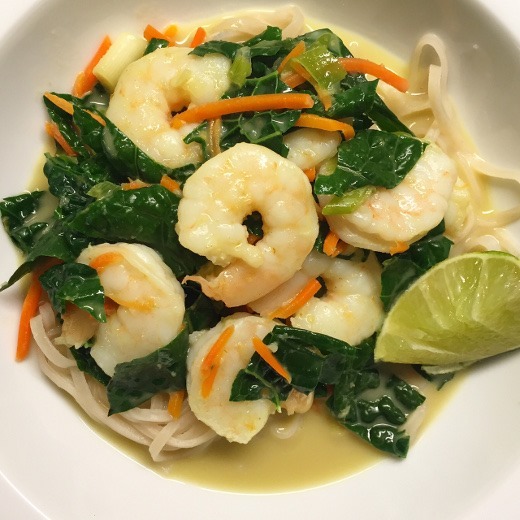 Monday, November 3: Thai Green Curry with Shrimp and Kale. Recipe from Cooking Light. Loved this one! Post coming soon. 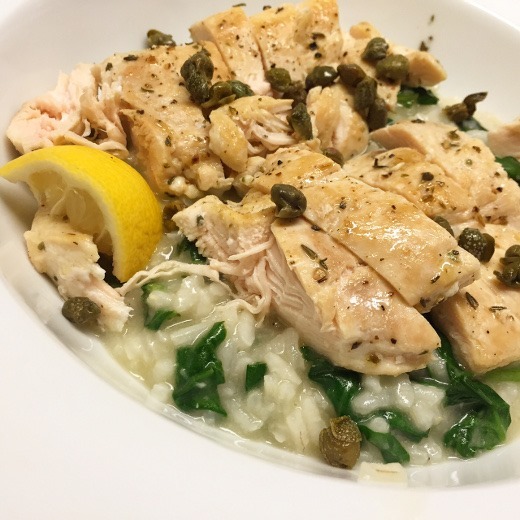 Tuesday, November 4: Chicken Picatta Risotto with Crispy Capers, recipe from Iowa Girl Eats. Also a repeat in our kitchen, and we loved it both times I’ve made it. 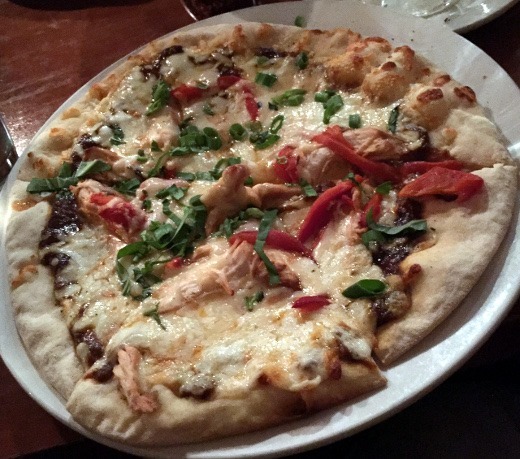 Wednesday, November 5: Fantastic dinner at Ravens Club – full post coming soon! 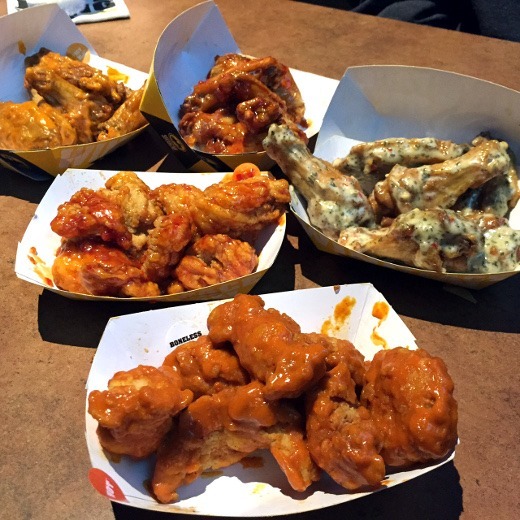 Thursday, November 6: BDub’s take-out. 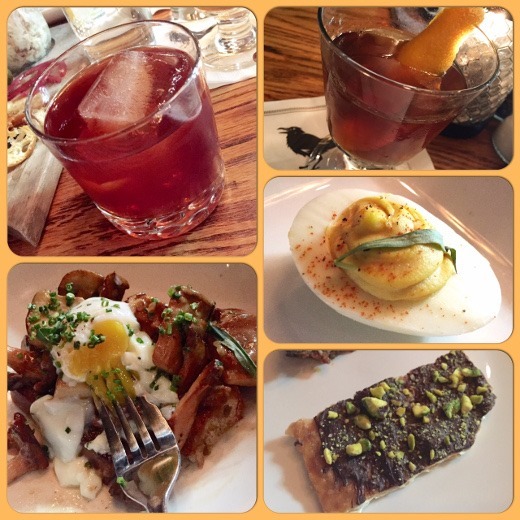 Friday, November 7: Happy Hour at Jolly Pumpkin. Fire and Smoke! 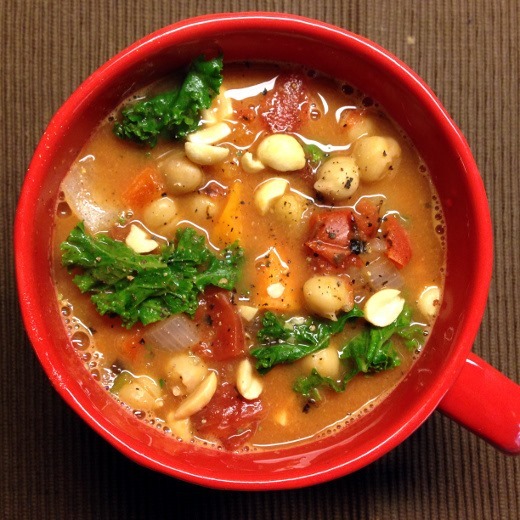 Saturday, November 8: Soul-Soothing African Peanut Stew from the OSG Cookbook. Last time I made it, I froze half of the recipe. Thawing and reheating the frozen half for dinner worked great and was so convenient! Everything looks so good! I haven’t been to Raja Rani in many years, but I’m glad it’s not going away. So yummy. And I’m totally making those fish stick tacos! I’m glad RR is here to stay too! 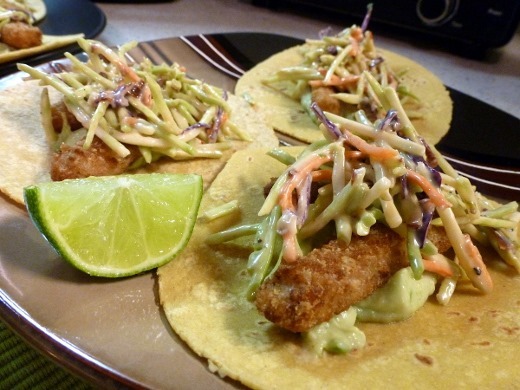 The fish stick tacos are the bomb – I’ve made them lots of times and we love them! I recommend getting your fish sticks nice and crispy in the oven before assembling.